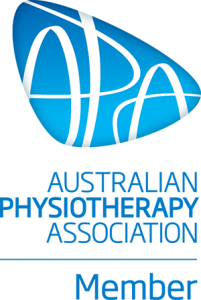 Caboolture Physical Therapy Centre > Blog > Latest News > Clicking, locking or pain in your hip? It might be a Labral tear. Clicking, locking or pain in your hip? It might be a Labral tear. What are labral tears of the hip? If you are experiencing pain in the front of your hip along with clicking, locking or catching of your hip joint you may have underlying labral damage. The acetabular labrum is a fibrous rim of cartilage that covers and seals your hip socket. This lining of cartilage provides stability for the thigh bone (femur) inside of the hip socket (acetabulum). The labrum seals the hip socket, providing a suitable appropriate rotational axis for the thigh bone in the hip socket as well as helping to maintain the nutritional fluid within the joint that is important to maintain joint health. their labrum than those who do not. Over time this repetitive impingement of the hip joint can cause the labrum to tear and damage to the labrum if not managed properly may lead to early degenerative arthritis. Pain in the front of the hip, groin, side of the hip or buttock often described as deep are symptoms of labral damage as well as clicking, locking, catching or giving away of the hip. Prolonged sitting, standing, walking or pivoting can cause pain for someone with a labral tear and this may cause a limp when walking. Other signs and symptoms include joint stiffness or a feeling of instability in your hip. How are labral tears diagnosed? Diagnosis is not always possible to confirm in the clinic, however, magnetic resonance arthrography (MRA) has been found to be very accurate in diagnosing labral tears. An MRA is when a dye is injected into the hip joint before the hip joint is scanned and specialist photographs of the joint are taken. Arthroscopies are another option but as they are more invasive they are often not the first port of call. It is advised to speak to your physiotherapist about your symptoms who will gather a thorough history of your problem and may undergo a series of tests as part of the physical examination. A physiotherapist can inform you if they think your symptoms are coming from labral damage or if they suspect a different problem. If your physiotherapist does suspect you have a labral tear, different treatment plans are available. Physiotherapy management may include a stretching and strengthening program to correct any neuromuscular imbalance; movement re-education and a variety of manual techniques that can be performed by your physiotherapist may reduce or abolish your symptoms. Other options are available or may be used in conjunction to physiotherapy including pharmaceutical medicine, corticosteroid injection and surgery and you should speak to your physiotherapist and doctor about this.